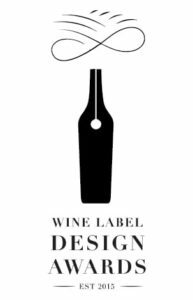 Entries for the second annual Wine Label Design Awards has been extended to 17h00 on Monday, 1 February. The awards are proudly sponsored by self-adhesive label supplier Rotolabel and are convened by Winemag.co.za – Wine magazine was published from 1993 until 2011 and now lives on in digital form. Cape Town advertising and design studio At Pace designed the logo and other collateral material. The motivation for the competition is to reward outstanding design as an influence on wine purchases. All South African wine producers and design studios are invited to enter. Wines will be judged in four categories: 1) R80 a bottle and under; 2) over R80 a bottle; 3) R500 a bottle and over and 4) labels forming a series – no price constraints. Judging criteria include originality of concept, execution, shelf appeal and effectiveness as a piece of communication. An entry fee depending on category applies. After official judging, finalists will then be displayed on Winemag.co.za for a set period to allow for consumer voting to determine a “People’s choice” winner. The award ceremony takes place on 24 February. For further information, contact Jacqueline Lahoud on 083 654 7721 or send an email to winemagsa@gmail.com. A total of 92 entries were received for the first awards. To review the results, CLICK HERE.